Secure Eye SB9CB biometric fingerprint attendance machine can also be used for door access control and security. 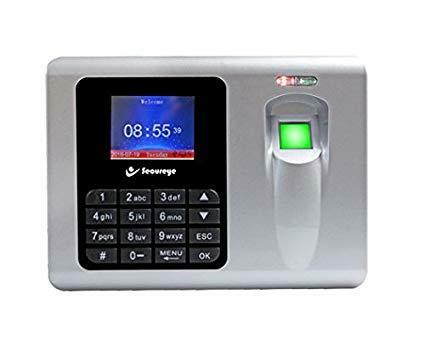 This model of secureeye is mostly used for small and medium offices to record time attendance and transfer attendance data through LAN Port and USB Port. Secure eye 9CB is very efficient model and can be used with a very use friendly HR attendance software ontime. Call us for more information and requirements.